Translated from German to English by Catherine Winkworth, alt., in Chorale Book for England, 1863. 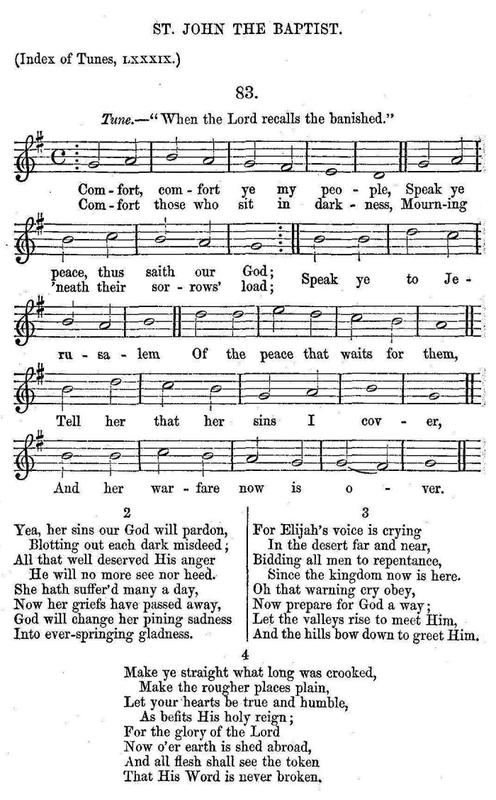 Olearius wrote this hymn for St. John the Baptist's Day (June 24). "Werde munter, mein Gemüthe," Johann Schop, 1642.